ABKCO Films in collaboration with Screenvision Media, a national leader in cinema advertising, have announced ticket availability for The Rolling Stones Rock and Roll Circus. Theatre screenings for the iconic 1968 concert show will take place April 1st, 3rd, 4th, and 5th in select theaters nationwide, including markets such as New York, Los Angeles, Chicago, and Dallas. 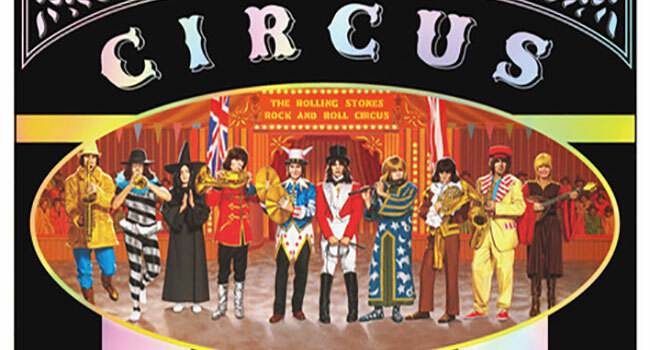 Directed by Michael Lindsay-Hogg, The Rolling Stones Rock and Roll Circus was originally conceived as a BBC-TV special and was filmed before a live London audience in 1968. The film centers around the original lineup of The Rolling Stones — Mick Jagger, Keith Richards, Brian Jones, Charlie Watts, and Billy Wyman — who serve as the show’s hosts and featured attraction. It stars the band performing fan favorite classics like “Jumpin’ Jack Flash” and “You Can’t Always Get What You Want”, as well as extraordinary live performances by The Who, Jethro Tull, and more. Fans can purchase tickets at rockandrollcircusthefilm.com.